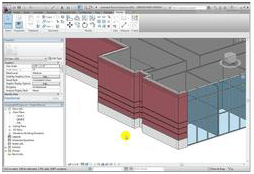 Revit Architecture 2010 Training AutoDesk Course Tutorials. Lay Christopher Fox is an independent architectural drafter/illustrator, author, and educator. He is the author of Introducing and Implementing Revit Architecture by Autodesk Press. He has produced Autodesk Official Training Courseware on Revit Architecture and Revit Structure. He is the Revit Technical Editor for AUGIWORLD Magazine.